This “clicker case” follows Susan, an intern at a local hospital, who has admitted a patient she discovers has used the drug Ecstasy. The girl becomes delirious, and Susan begins to suspect that she may be suffering from water intoxication. 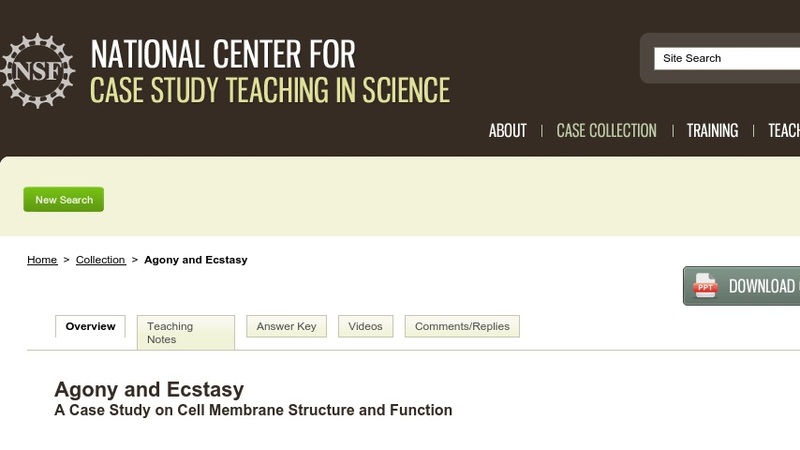 The case is designed for an introductory biology course for either science or non-science majors, though it could be adapted for upper level courses. It uses an example of water intoxication to introduce membrane structure and function, osmosis, and electrolyte balance in the body. The case itself is a PowerPoint presentation (~800KB) shown in class that is punctuated by multiple-choice questions students answer using clickers. It could be adapted for use without these technologies.